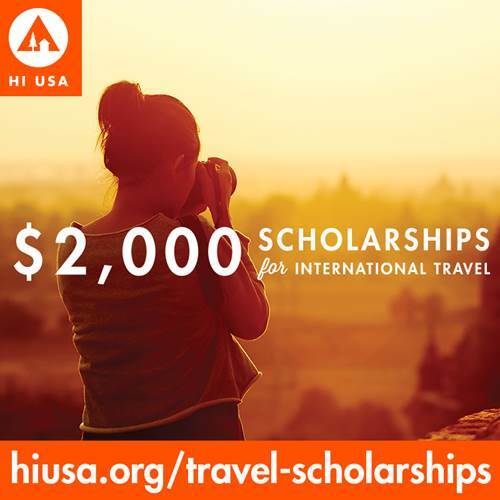 Hostelling International USA is offering fourteen $2,000 travel scholarships exclusively for Alameda, Contra Costa, Marin, San Mateo, and San Francisco students and residents. The program is called the Explore the World Scholarship, and it is administered by the nonprofit organization Hostelling International USA (HI USA). HI USA is committed to creating a more tolerant world, and these scholarships are for young travelers inspired to make the world a better place, but lack the financial means to go abroad.